It is a fact that vehicles break down or other incidents may happen on the road causing your journey to come to a halt. If these events happen, remember to use one of the lessons learned from CA traffic school online, and use your AAA card. 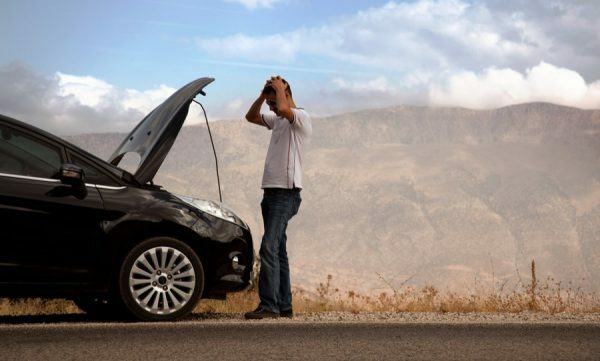 Fortunately, with AAA member services, you can be back on the road in no time. Here is why you should consider Triple AAA insurance for your roadside assistance needs. AAA customer service is available around the clock to take care of your needs when on the road. Moreover, the company has fast response units; able to come to your rescue within a short time upon making a distress call. You are assured of assistance whenever you need it. Triple A auto insurance has branches spread out across the country. If you have been wondering, ‘Is there a triple A near me? Then worry no more. You can access the roadside service wherever you are across the USA and Canada in no time. Enjoy peace of mind on the road knowing that someone has got your back covered. In addition, you can use the Triple A service even if you are carpooling with a friend or family member. The triple A membership provides the benefits to members and not a given vehicle. It means that if you are with someone who has car problems; you can help them get roadside assistance with your card. Triple A towing offers to tow your vehicle when it is immobilized due to a mechanical, electrical failure or due to an accident. The vehicle is towed to the nearest garage for fixing. This saves you from spending lots of time on the road trying to fix a problem or waiting for a service center technician to fix your car. The service also guarantees your safety, which comes in extra handy if your vehicle breaks down near an unsafe location, woods or in foul weather. Triple A prioritizes calls made by people in dangerous and unsafe places to get them out of danger as soon as possible. All members should always have the AAA phone number with them when they are on the road. This enables them to call AAA swiftly when they run into problems on the road. There is always someone on the other side waiting to respond to their needs or answer their questions. In addition to roadside assistance, you can use your Triple A card to get discounts at selected retail centers, movie shops and gas stations among other areas. You can locate these AAA preferred partners by connecting to the AAA mobile app. You will just click to find a hotel near me or other service provider and you will get directions to the nearest service provider. If you are asking, ‘Can I use AAA without my card?’ You cannot use the service without the card. However, if you have a friend traveling who has a card with him, he or she can ask for assistance using his or her number. Fortunately, you do not have to carry a physical card. There is a Triple A digital card that you can carry with your AAA app. It is easy to use and very convenient. Consider enrolling for Triple A service as soon as you leave the traffic school. It will save you from wondering, ‘Is there road assistance near me?’ as you will get quality roadside assistance service wherever you are. As a member, you only need your card and Triple A phone number: 800-AAA-HELP (800-222-4357) and your road problems are sorted.